PU heat transfer vinyl, It is made of high-elastic polyurethane material, which has excellent tensile, rebound, weathering and washing resistance. 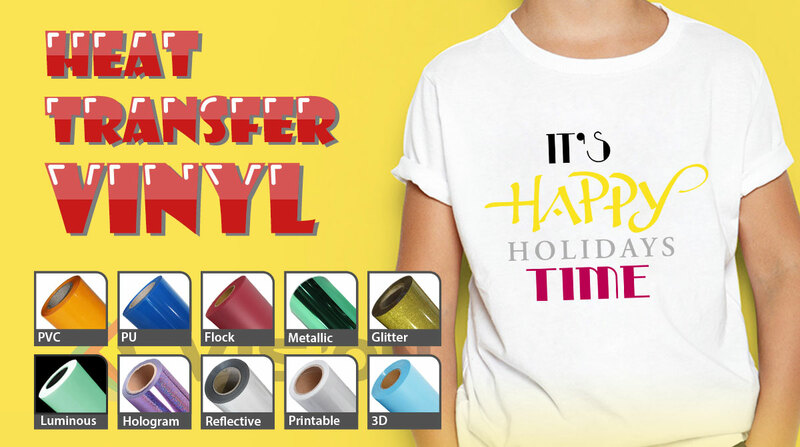 PVC heat transfer vinyl, it adopts environmentally friendly thermosetting ink PVC material, which is precision coated, high covering and matte finish. 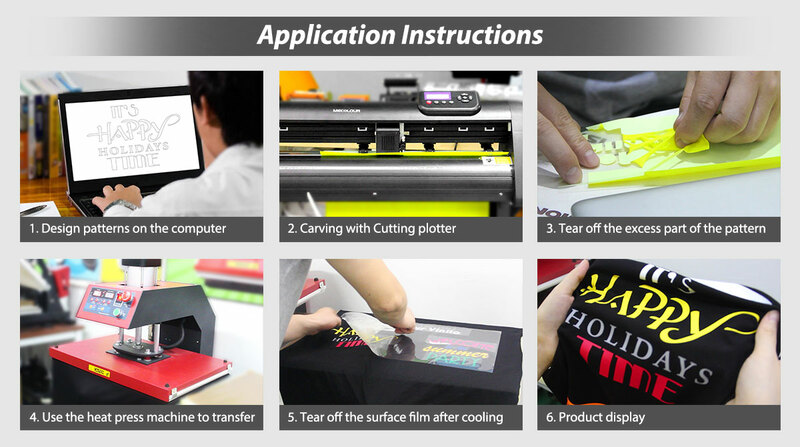 Heat transfer vinyl is widely used in clothing, bags, shoes and other textile fabrics.